First thing to think about is your ceremony. Are you going to have an indoor ceremony? An outdoor ceremony? Is it in a barn? A field? An event center? A church? Maybe you want to bring the church setting outdoors. Anything is possible! First start broad, then get to the details. Broad ideas begin with using a backdrop, an arch, or creating something different. This idea was brought to life by adding curtains in a field, making the appearance of church windows for an outdoor ceremony. Do they need to be covered? Want to add some color to the ceremony? Think about a colored sash! Keep it classy with black and white, or change it up and add your own spice of color! Once you have the big ideas taken care of, like a backdrop or draping on an arch then look to the small details. Maybe you want to line your aisle with some decorations like candles or flowers or add a sign to the beginning for extra appeal. 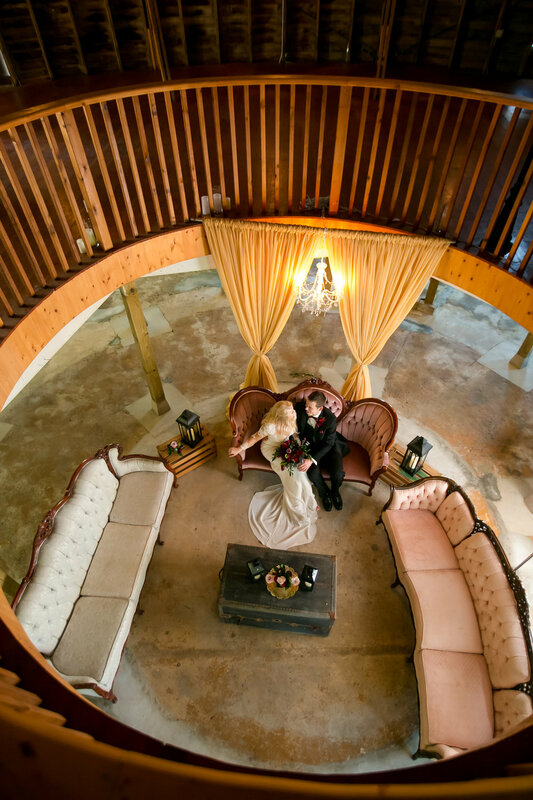 Every venue has a specific place full of character and charm for wedding day pictures. When you have located that special spot think of different things you could add. Placing old furniture and a creative backdrop gives a fun place to take photos with your party as well as for your guests! This is something that may seem small, but adds so much. When the evening comes and the soft glow shines, you are sure to feel love and romance throughout your entire space. This is where you get to be extra creative! Keep it simple or make it intricate, it's up to you! Decor ideas can include an array of centerpieces, table runners, chargers, napkins, candles, chair backs, flowers and more. This is probably the most important part of your day when thinking about decor. The head table is a focal point that directs all of the guests to you. 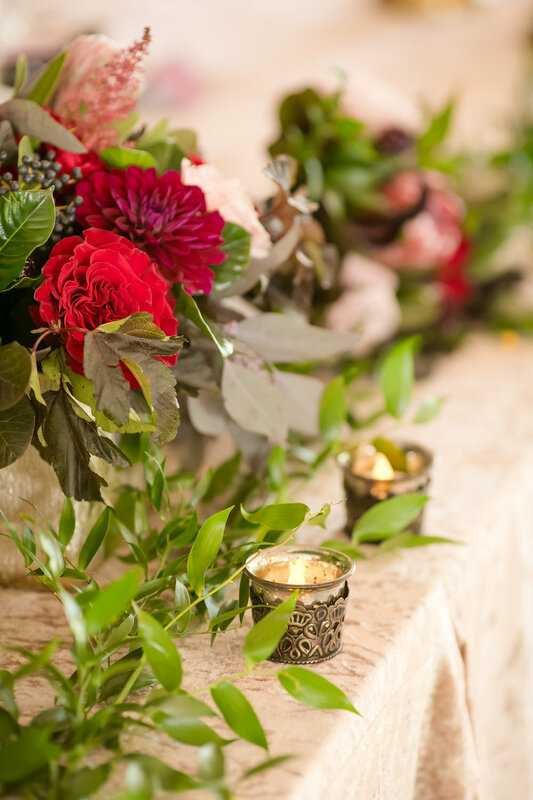 Decor items to think about include: a colored backdrop, a bold linen choice, chargers, napkins, flowers, candles or other centerpiece decor that matches your guest tables and personal style. Your cake table and dessert display is a place to spice up your space with some unique finds. Add a sweet sign, a fun table and you are good to go! Last but not least, don't forget any other areas that could be used to your advantage. If there is something that catches your eye, be sure to give it extra love and attention! You will never regret!